Ever since Jimi Hendrix first inflamed the rock world with his majestically distorted squalls, guitarists have tried to emulate his sound. And during that same time, effects pedal manufacturers — some of whom gained prominence during Hendrix’s rise, providing prototypes to the adventurous guitarist — have created replica after replica of his favorite effects. The Dunlop Hendrix Fuzz Face, the Hendrix Octavio Fuzz, the Hendrix Wah, the Hendrix Experience Pedal all capture a piece of Jimi's tone each in its own way. But one lucky gearhead just bought the real deal, Jimi’s own 1967 Arbiter Fuzz Face. The winning bid? $40,625. It was estimated to sell for a price between $8,000 and $10,000. The pedal has been owned since Hendrix’s untimely death by Mitch Mitchell, the drummer for the Jimi Hendrix Experience. It was sold this weekend as part of Mitchell’s personal collection at the Idols & Icons: Rock 'n' Roll auction, held by Julien’s Auctions in Los Angeles November 4. 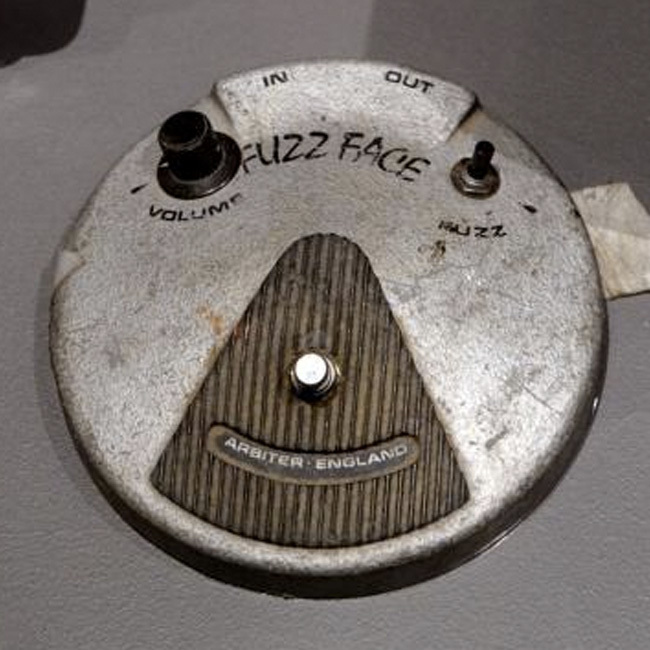 This Arbiter Fuzz Face comes directly from the estate of Mitch Mitchell, who died in 2008 and whose own collection of classic Ludwig drums, Zildjian cymbals, and other gear was sold at the auction.